Colour: Ftwr White / Off White / Gold Met. Special-edition Stan Smiths to celebrate London's newest Underground line. 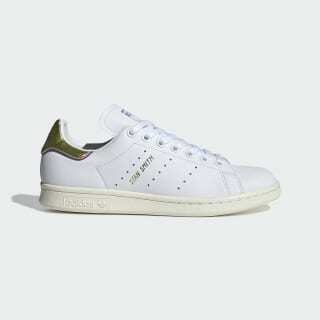 The streamlined Stan Smith is a perfect canvas for experimentation. This version of the '70s court icon commemorates the opening of the Elizabeth Line, London's newest Underground line. 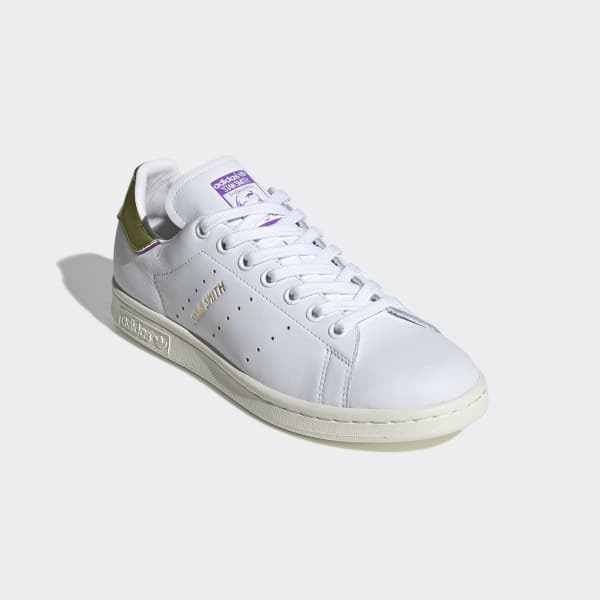 A collaboration between adidas Originals and Transport for London, these supple leather shoes celebrate the occasion with Elizabeth line logo graphics and gold metallic details at the heel and inside the tongue. Every pair comes with metallic gold lace tips and an extra set of laces. Product colour: Ftwr White / Off White / Gold Met.